Reliant Naperville Electrician has been providing quality electrical services to Naperville for over 15 years. Our goal is to exceed our client’s expectations by getting the job done the right way the first time. We look forward to serving you with any type of electrical service. We provide Commercial Electrical services for all types of customers. No commercial job is too big or too small for us to handle. We provide quality commercial electrical services for strip centers, office buildings, municipal buildings, institutional buildings, and much more. Do you have an electrical emergency? Do you need someone to come fix it now? 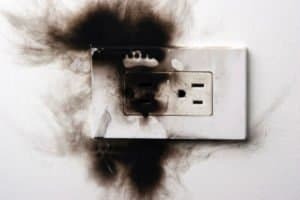 Rest assured, Reliant Electrician of Naperville provides emergency electrical work to help you out in times of crisis. Just give us a call and we will be on our way to come fix your issues! Call now! When you need expert electricians, turn to locally owned Reliant Naperville Electrician. We have been providing 24/7 electrical service for residential and commercial clients in West Chicagoland, IL for more than 20 years. When you are in need of Electrical Contractors in Naperville then look no further than the experts at Reliant Naperville Electrician. Our certified and class A licensed electricians can handle projects of different sizes, from kitchen remodels to running wiring for hospitals. In addition to top-notch service, we provide superior products to maximize the longevity of our installs. Reliant Naperville Electrician is licensed, bonded, registered, and insured for your protection. We stand behind our products and services by offering warranties and guarantees. Being associated with Associated Builders and Contractors and being a St.Charles Chamber of Commerce Member makes us all the more credible to serve you. Our competitive prices are sure to please you. We offer senior discounts to make our expertise affordable to a wider client base. Our courteous staff assists you with an accurate estimate. Call us to schedule your free quote. Great customer service. I called them out for a last minute request on servicing the electrical in my rental property. I had a tenant moving in within the next few days and needed the wiring hooked up to the fuse boxes. Reliant Naperville Electrician did a phenomenal job for an affordable price. I would recommend them for your electrical needs because they work with urgency and professionalism. Thank you! I salute my electrician for being 100% honest with me. He quoted me fairly and performed the specified electrical work that we agreed on. It was a little more work than he initially expected, but regardless he honored the quote he gave from the very beginning, which is what any reputable company should do. As customers, we can only go off the initial quote. I’m glad Reliant Electrical understands this. I recommend them to anyone looking for a certified, professional electrician! We used Reliant Electrical to do the electric when we finished our basement and we could not be more thrilled with how it all turned out. Dave is so knowledgeable and transparent about what he is doing every step of the way. I actually just referred them to a friend of mine who lives down the street who’s wanting to finish her basement. Thank you, thank you, thank you! 5 Star Service! When it comes to electricians, Reliant Electrical provides supreme value. They are professional and knowledgeable regarding all aspects of electrical work. They have assisted my family with several jobs over the years. I recommend them with confidence! I had Reliant Electrical come out to give me an estimate on some recessed can lights in our kitchen and he was able to install them the same day! I’m thrilled with how effectively they brightened up my kitchen! I will definitely be using these guys again for all my future electrical needs!